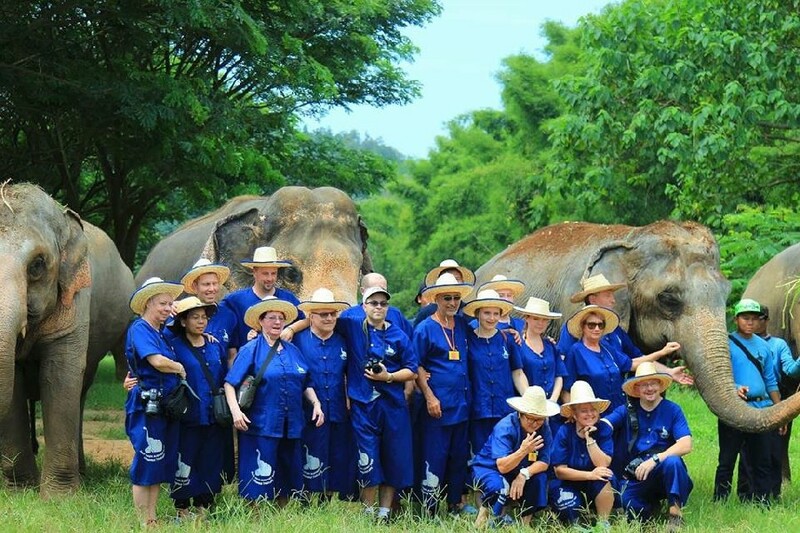 ETHICAL ELEPHANT TOURISM | Elephant Sanctuary Park in Chiang Mai (Thailand). In 1989 : The Thai government banned logging in protected areas, basically closing all remaining natural forests. While undoubtedly this was the right decision in terms of animal welfare, one unfortunate side effect was that many thousands of logging elephants were then out of work. As logging is no longer an option for Thailand’s elephant owners, tourism is the best chance they have to protect and care for their animals. Visitors come to Thailand love seeing these magnificent animals and having the opportunity to interact with them at first hand. What is the alternative? Well, releasing a domesticated elephant that has been born and raised in captivity back into the wild is not an option for several reasons. Firstly, Thailand is a populous country of 67 million people (similar to UK), and there is insufficient space or available countryside. In any case, it would be impossible to avoid conflict with human populations as the animals would inevitably damage crops and villages and would be in serious danger of being shot or poisoned. Also, an elephant is a very valuable asset, and effectively a ‘walking bank account’ for its owner. Who would compensate these owners and where would the money come from? Some overseas animal rights groups have argued that tourists should not visit elephant camps, claiming that they ‘promote cruelty’. We say this is a wholly unjustified sweeping statement. Centre’s like Baanchang Elephant Park were specifically established with a total commitment to welfare and education. We exist not only to care for our elephants, many of which were former loggers, but to provide them with a best and happy environment, with safe and secure employment for the mahouts, and a unique and wonderful human-animal interaction for our visitors. Of course in rural and traditional cultures there were abuses, particularly with some training methods. But times are changing, actively supported by the Thai government. Blanket criticisms or emotional attempts to close down responsible, welfare-based operations that are educating owners, mahouts and visitors, bring contentment to the elephants and much joy to the human visitors, are unfair and unjustified. Like horses, buffaloes, oxen and camels, elephants have been domesticated for thousands of years. Campaigners rarely object to the use of draught horses or camels, horse riding or racing, unless there are clear animal welfare concerns, when education and encouragement generally offer the best solutions. The same standards should apply to elephants. Without work in tourism, Thai elephant owners will have no means to care for their animals. THAT really will create a welfare crisis. Please let us look critically at the argument and let common sense prevail.